Almost one-quarter of New Jersey adults are obese, according to a new report by the Trust for America’s Health and the Robert Wood Johnson Foundation — but the 23.7 percent rate is low enough for New Jersey to tie for the 47th lowest obesity rate in the nation. By 2030, however, almost half of New Jersey’s adults are projected to be obese, which could contribute to about 1 million new cases of type 2 diabetes, more than 2 million new cases of coronary heart disease and stroke, more than 2 million new cases of hypertension, about 1.4 million new cases of arthritis and 300,000 new cases of obesity-related cancer in the state, according to the report. An obese adult, according to the Centers for Disease Control and Prevention, is one with a body-mass index of 30 or above. Roughly, a 5-foot-9 individual weighing more than 203 lbs. ins considered to be obese. Currently, only Massachusetts, Hawaii and Colorado have a lower rate of obese adults, according to the study results. Mississippi remains at the top of the annual list with 34.9 percent of its adults considered obese. Pennsylvania, meanwhile, is 20th at 28.6 percent, Delaware is 19th at 28.8 percent and New York is tied for 42nd at 24.5 percent. In 2030, the report projects two-thirds of Mississippi adults will be obese, and that half of the adults in 39 states will be obese. Every state will have at least 44 percent obesity at that point, according to the report. 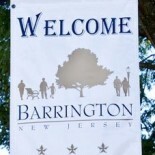 This entry was posted on September 19, 2012 by Barrington Bulletin in Region, Safety and tagged health, obesity.